Happy Hours Flowers! Whether she is a Cosmopolitan lady or an Apple Martini woman, this love potion is sure to bring a smile to her lips. 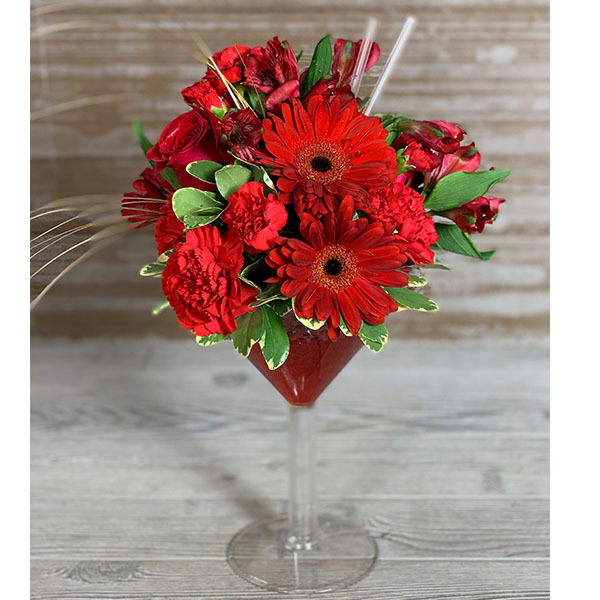 A cocktail of reds - roses, gerbera daisies, carnations, alstro, and even the red gel beads in the bottom of the glass - anyone is sure to enjoy! Give them all something to talk about.